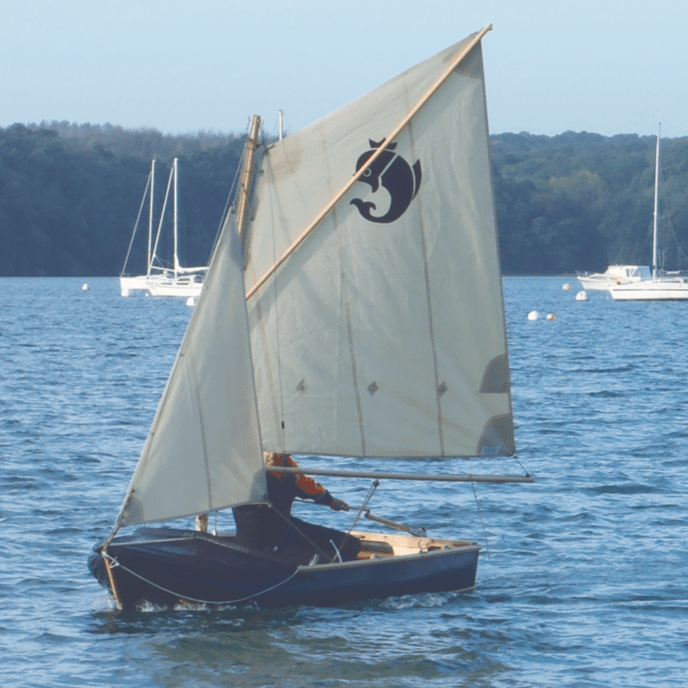 All of these dinghies fold down for easier transport and storage. The removable parts – internal frames, thwarts (seats) and floorboards are carried in a separate bag (included, as are the oars). Even the 190 model is capable of carrying two full-size adults, with capacity to spare. 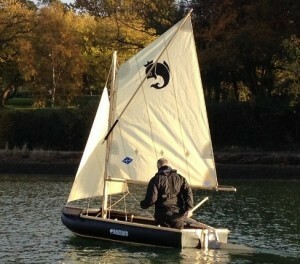 Remember this is also a boat that will fit on or under a spare bunk or bed, at home, on a yacht, in a camper van, etc. 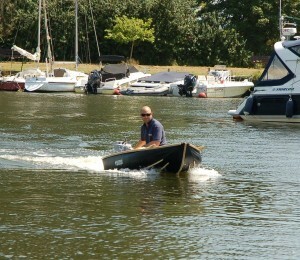 The secret is the relatively wide beam – same as the 250 model. 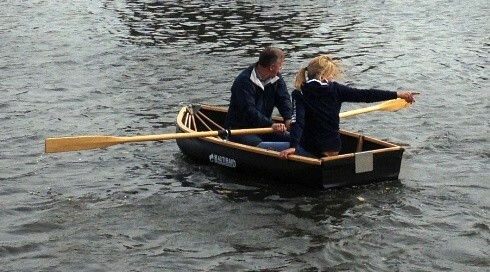 Yet she still manages to “look like a boat”. 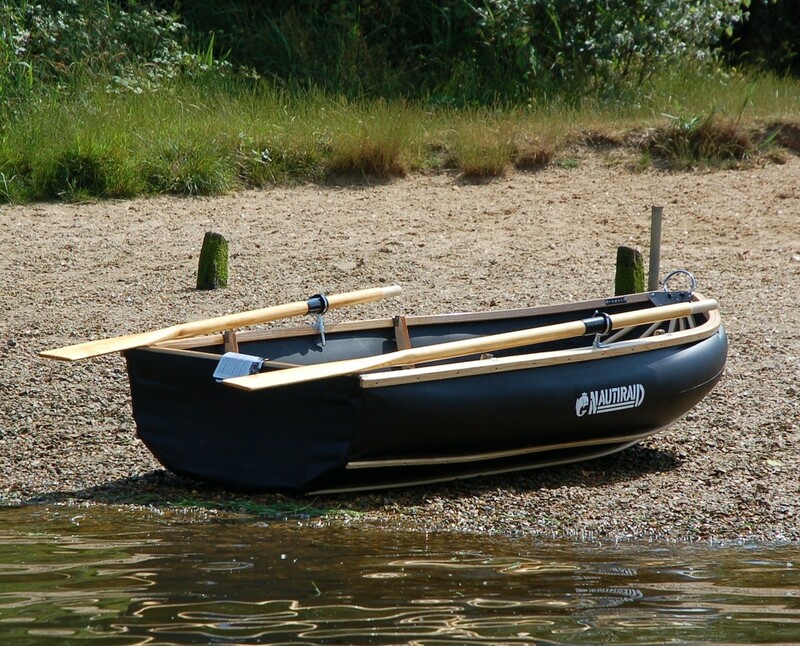 One of the main reasons the Nautiraid dinghies are a lot more akin to traditional “boat shape” than most folding craft is the fan-like joint at the bow. 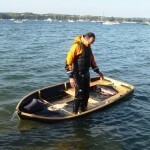 The patent for this dates back to 1936, originally for folding ships’ lifeboats. The laminated curves in the woodwork are massively strong and define the visual shape. 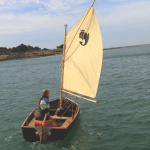 Longitudinals – keel, gunwhales and rubbing strakes – are made from carefully selected, straight-grained ash, carefully selected from trees grown (slowly) in the Alps. 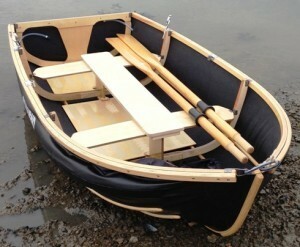 Transverse frames, thwarts (seats) and floorboards are made from birch plywood. All woodwork is dip-coated (much thicker than spraying) three times in a special hardwearing varnish. The skin is ultra-durable Hypalon. 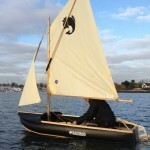 Just beneath the gunwhales are Nautiraid’s unique, and very subtly integrated, “Stabilair” tubes – for buoyancy, heeled stability and fendering when coming alongside other boats, or the quayside. 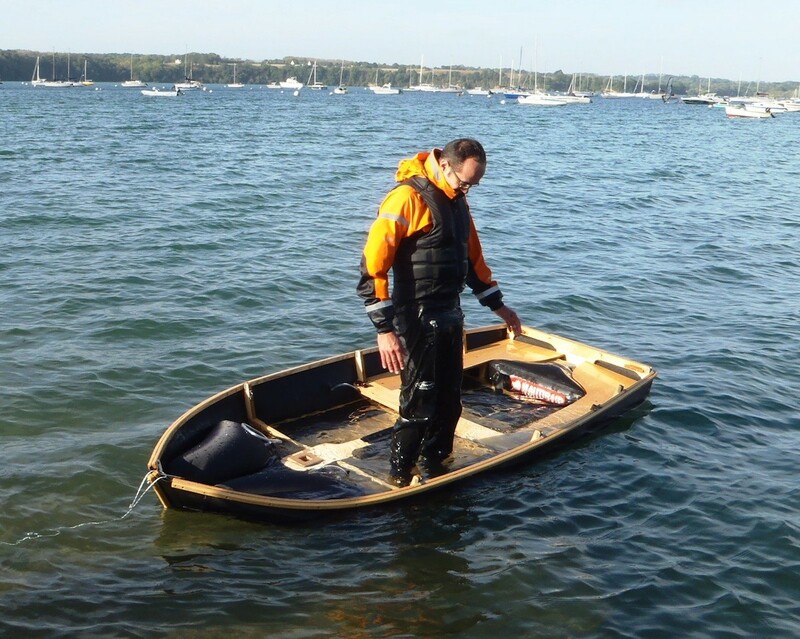 These have separate inner tubes, so are extremely unlikely to get punctured, but even if this does happen you will still have a perfectly viable and usable boat (unlike an inflatable dinghy). They are also notably lightweight. The hull of the best-selling 250 (8ft) model shown here weighs 13kg. 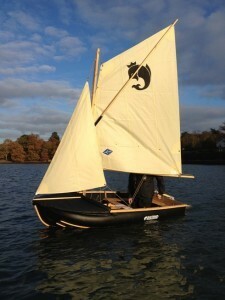 Even fully assembled – with frames, thwarts and floorboards installed, total weight is only 26kg – lighter than most equivalent-size inflatables. “I remember seeing one of these dinghies in Falmouth 20 years ago. I fell in love with it then and would give my eye-teeth to have one now.” Annie Hill (author of Voyaging on a Small Income), blog post, April 2010. 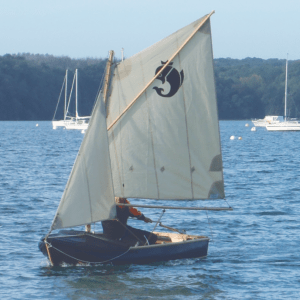 The basic design of the Nautiraid dinghies today is still the same that Annie saw, but now they have the “Stabilair” buoyancy tubes, and there is now the option of a sailing rig on the 300S version. The 300S sailing rig is beautifully designed and the quality of the components is excellent. All the wooden parts are made in-house at the Nautiraid factory in Vaiges, France. The 300S (shown to the right) has the same hull shape as the 300, but with beefed-up frames and a different seating arrangement including side seats for sailing, and additional support to take the loads from a 5.5sqm (55sqft) sailing rig. 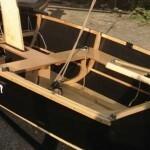 A daggerboard case and spray dodger are also built into this version. The Coracle dinghies have very easily-driven hulls, making them a delight to row and also very efficient under power: you only need the smallest of petrol motors (2.5hp); and electric drive is well-suited to these boats. 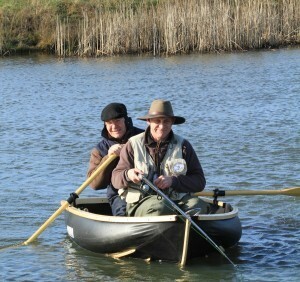 Folded Coracle C300 (10ft version) on roof, with optional hull bag. 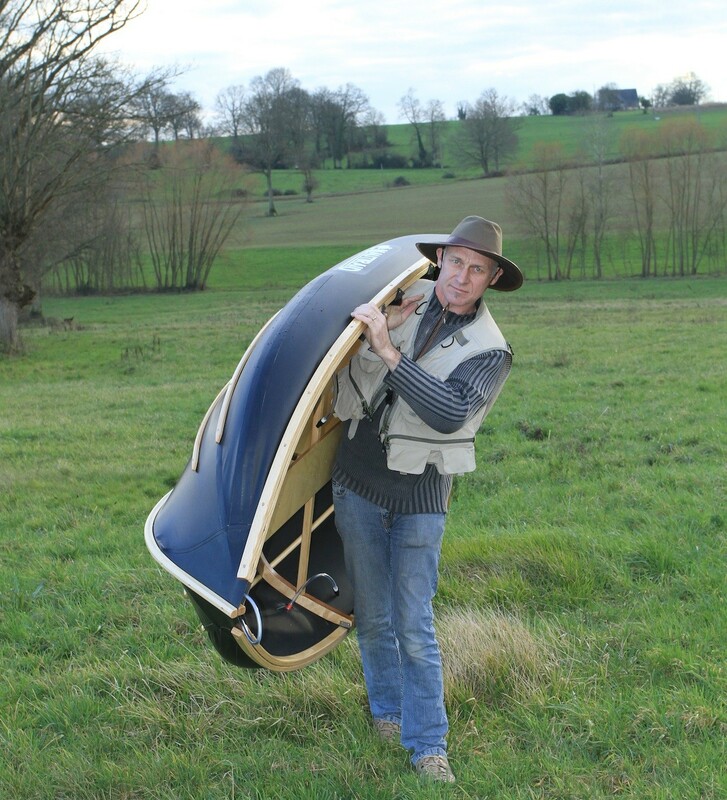 Upside down, the curved folded shape at the bow fits neatly with the slope of many hatchback and estate cars. 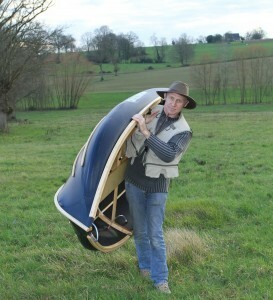 Folded Coracle 250 on car roof. 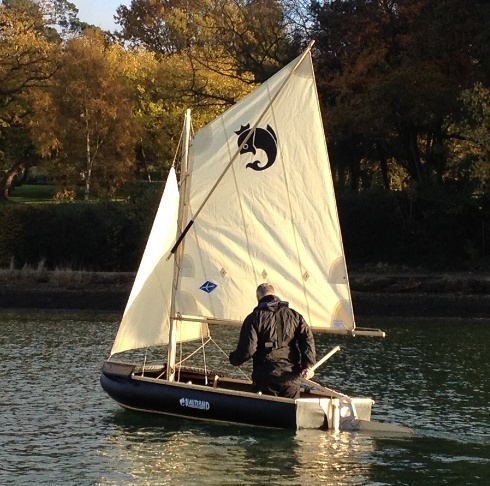 Coracle 250 folded on a yacht’s deck. 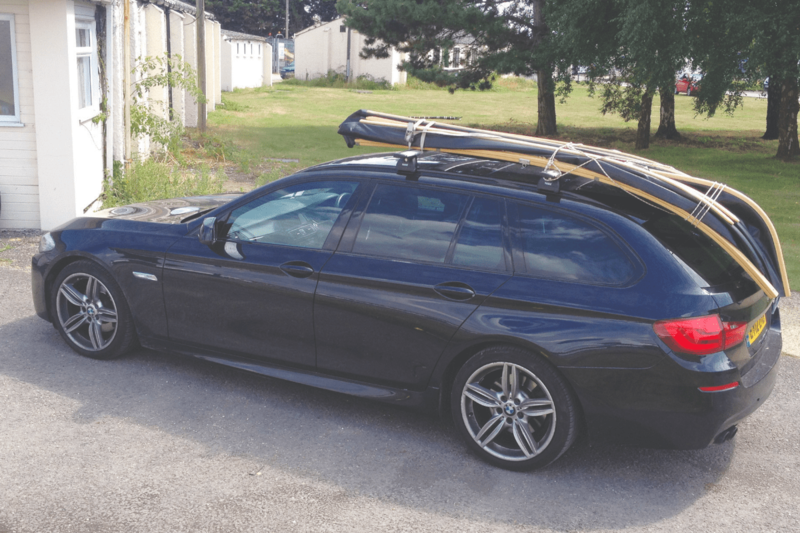 The Coracles’ folding hulls mean you won’t need a trailer, and in some cases you won’t even need a roof rack – the 250 and 190 may fit inside your car, even quite unlikely ones. For example we’ve had customers put a Coracle 250 inside a 2013 Mercedes CLS saloon (the back seats don’t fold down but it went diagonally in the seating area), and a 190 into a BMW 1-series hatch. 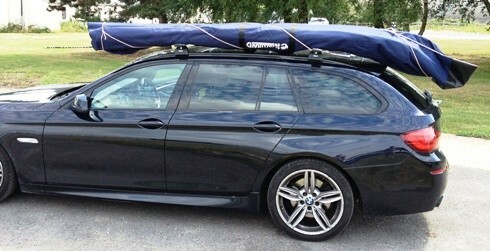 Estate cars with the rear seats folded are of course even easier. 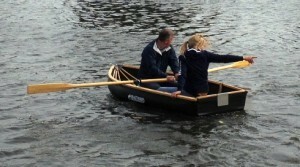 With two people on board the 250 model, the standard rowing position and seating works superbly. 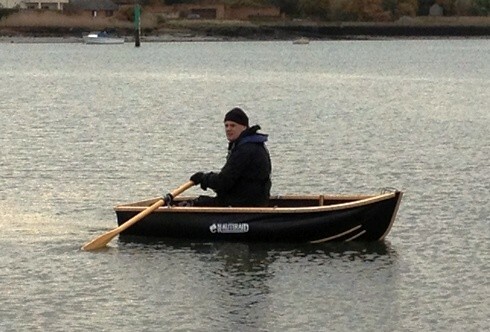 However with only one person on board the standard rowing position – if you’re more than about 90kg – is a bit far forward, so you may wish to consider the rowing upgrade. 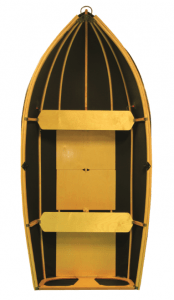 For the 250 this consists of a removable longitudinal seat, with two sets of metal rowlocks (in lieu of one set of plastic) plus longer oars (£280). 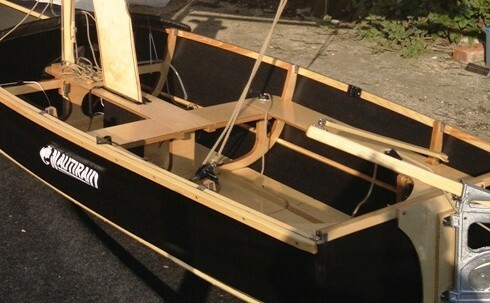 The 300 being longer is less sensitive to fore/aft trim, so there is no need for a longitudinal seat, but you may wish to change to metal rowlocks and longer oars (£110). 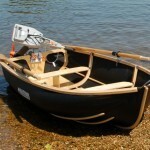 Coracle 250 with rowing upgrade: longitudinal centre seat with two sets of chromed metal rowlocks and longer oars.. 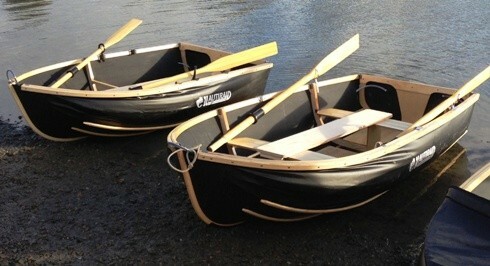 The centre seat option and second rowing position makes the fore and aft trim almost perfect when rowing on your own.. Call 0800 999 2535 (free from UK landlines and most mobiles) or Email mail@nestawayboats.com or fill in our online contact form. 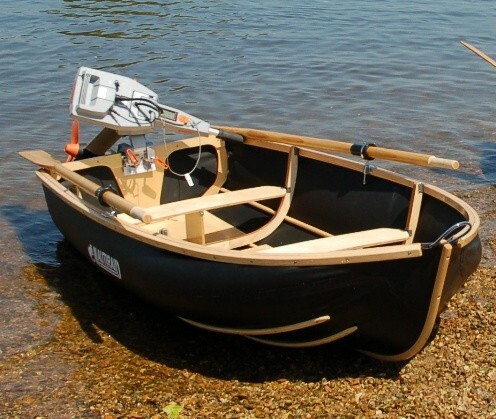 * Weight quoted is assembled weight of entire boat. 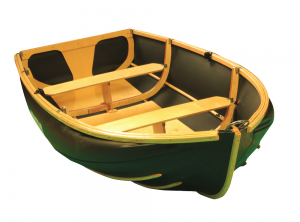 The removable parts account for approx half the total weight, so for example the hull only weight of the 190 is about 10kg. ** The strengthened hull of the 300S version weighs a bit more than the standard 300 model, exact figure to be confirmed. 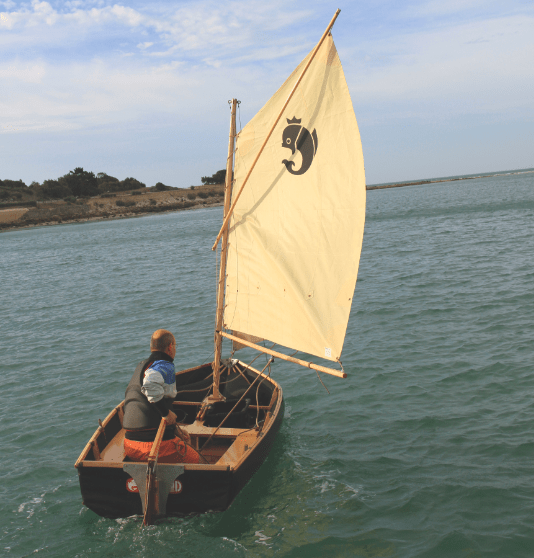 The sailing rig components obviously also add weight, but these can be carried and stored separately from the hull. 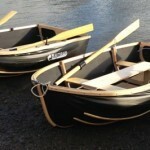 Prices include oars, plastic rowlocks and a storage bag for the removable hull components. 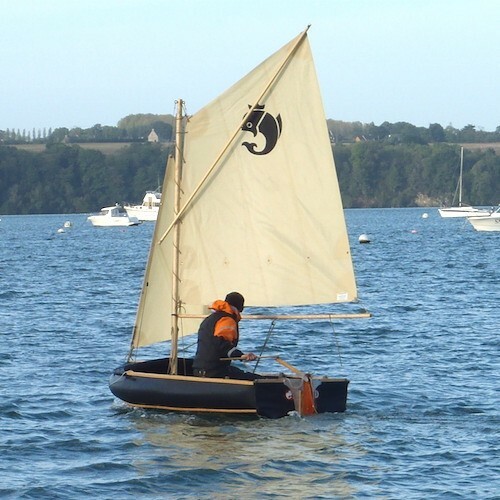 The sailing variant also include all items for sailing, ie rudder, daggerboard/case, mast, boom, sails, rigging etc, with bags to store all. Delivery charge (most UK mainland postcodes) for C190 £45; C250 and C300 £95. Or come and pick it up – save the delivery charge, get a demo of how to assemble your boat, and a free coffee! Pretty as a picture… and it all folds up! – Torqeedo 1003 electric motor. Perfect partner for the easily driven Coracle hulls, capable of achieving approx 5knots (ie above theoretical displacement hull speed). £1340 (or £1570 for the higher capacity battery model). For prices on other motors please contact us. 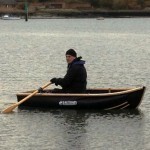 Coracle 250 showing (optional) 7ft oars, chrome rowlocks; Torqeedo 1003 on transom. 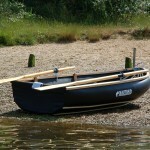 The prettiest folding boat you can buy? 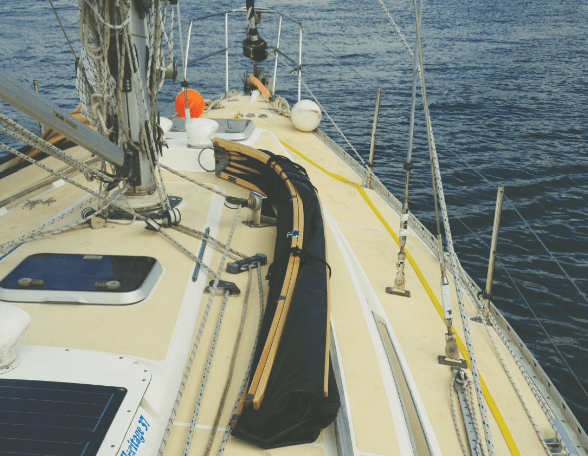 Call Ian Thomson on 0800 999 2535 (free from UK landlines and most mobiles) or Email mail@nestawayboats.com or fill in our online contact form.